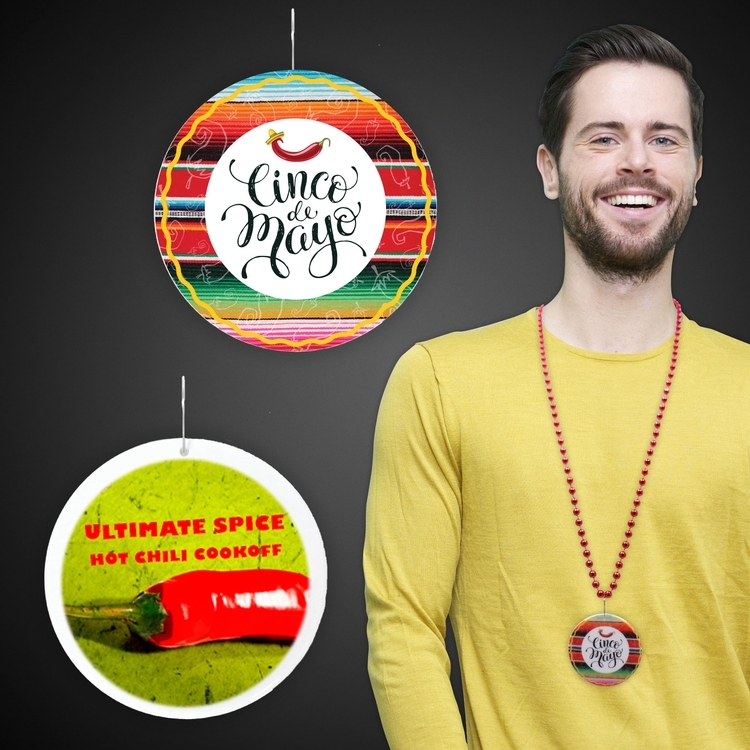 Our fabulous and fun Cinco de Mayo medallions are a 2 1/2" plastic medallion that features a full color imprint on one side! Hand out these Fiesta Medallions at Cinco de Mayo Celebrations! Beads are sold separately.